2 figures. Painted September 2010. ...for the lack of posts. Work is horrendous at the moment and has gobbled up most of my painting time over the past couple of weeks. 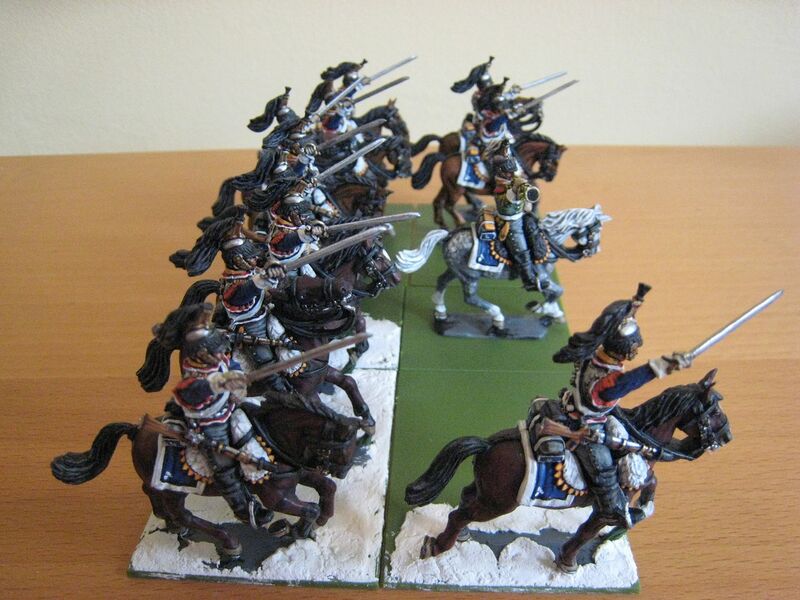 The 4th cuirassiers are, however, now finished as are two brigade command stands for, respectively, my 1815 French and Dutch forces. Hopefully the latter will be up on the blog within a few days. The cuirassiers are flag-less at the moment, as I need to find a way to attach a lengthened flagpole to the standard bearer figure. But again, hopefully that will resolve itself by the end of the week so that I can have photos posted at the weekend. En masse I think the regiment looks quite good. I'm switching back to the AWI for a while. I've missed it and I want to clear some of my AIW leadpile before buying more figures in advance of January's VAT rise. So I'm increasing the 55th Foot from 12 figures to 16 (this was one of the very first AWI units I painted, back in 2004) and am painting the 57th Foot from scratch. 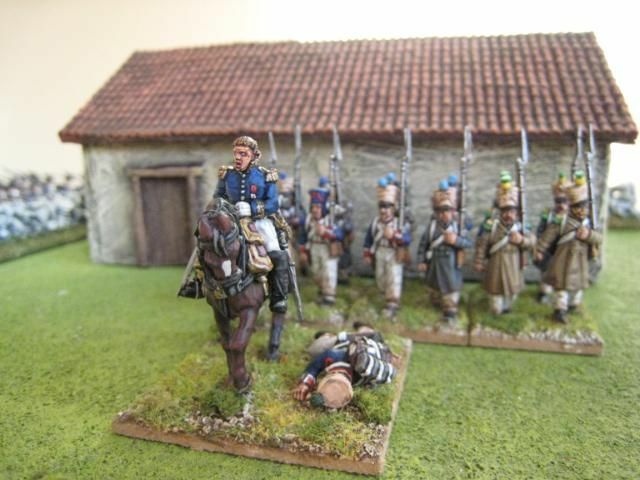 I haven't given the AWI serious attention for so long now that I've forgotten what I have left to do - I know there are British Legion cavalry and a few Hessians somewhere, and enough Americans for a couple of battalions.